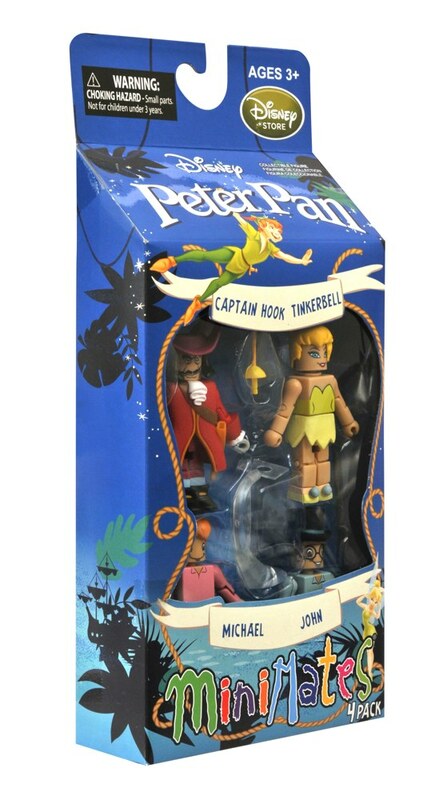 Diamond Select Toys has announced new Disney Store Exclusive Peter Pan 60th Anniversary Minimates. 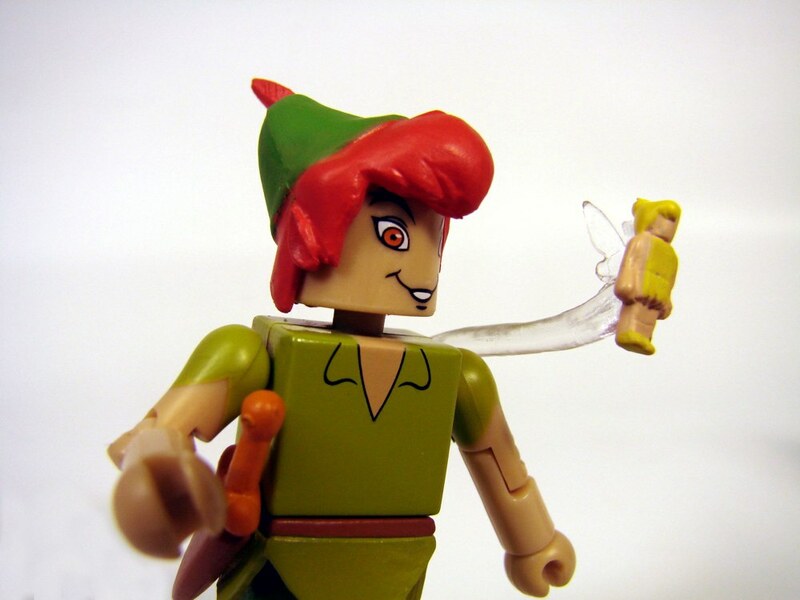 In 1953, the Walt Disney Company delighted audiences with its full-length animated feature Peter Pan, an adaptation of the 1911 novel about a magical boy who wouldn’t grow up. 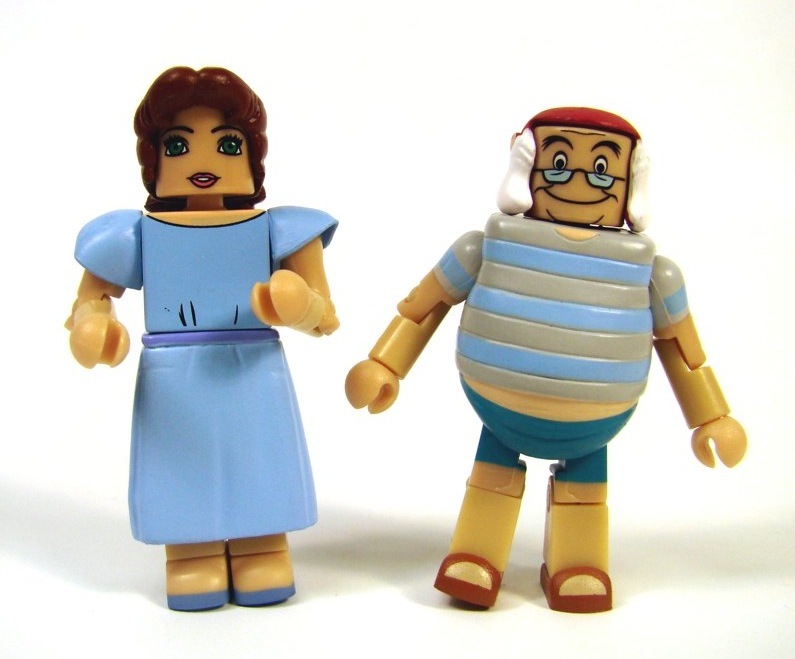 Now, with the first-ever Blu-Ray release of the film in stores now, the Disney Store has teamed up with Diamond Select Toys to release the first-ever Disney Minimates, based on Peter Pan! 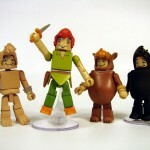 Two boxed sets of four Minimates mini-figures each will be available in early March. 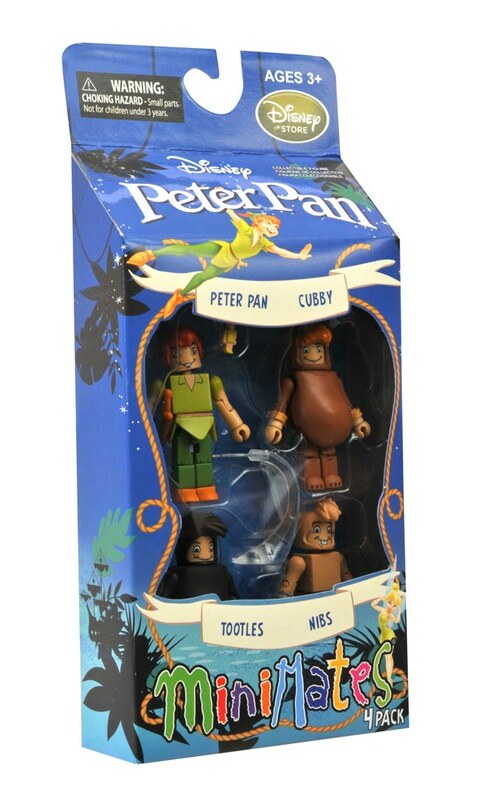 The first set will include Peter and three of the lost boys – Cubby, Tootles and Nibs – and Peter comes with a miniature version of Tinkerbell that can hover over his shoulder. 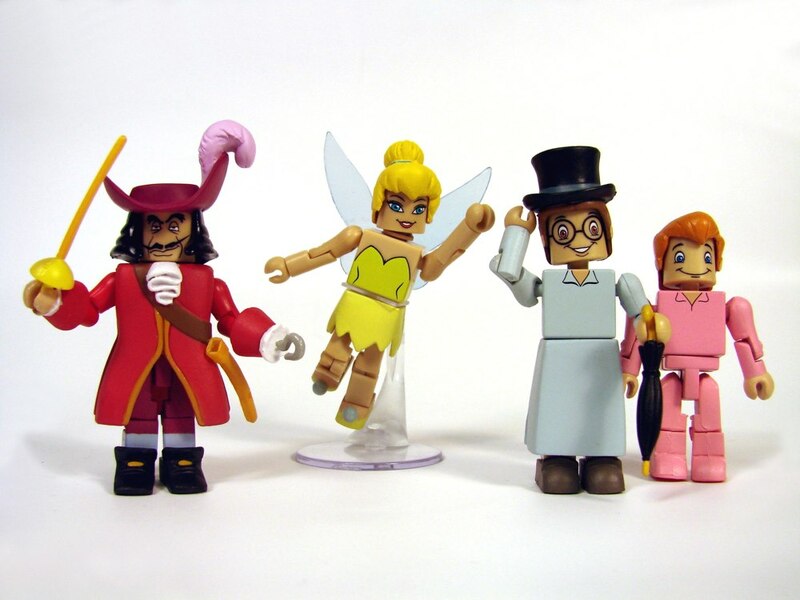 The second set will include Michael, John, Captain Hook and a full-sized figure of Tinkerbell. Both sets will include standing bases to support each character, as well as one flying base each, so you can have Peter and Tink float above the ground. 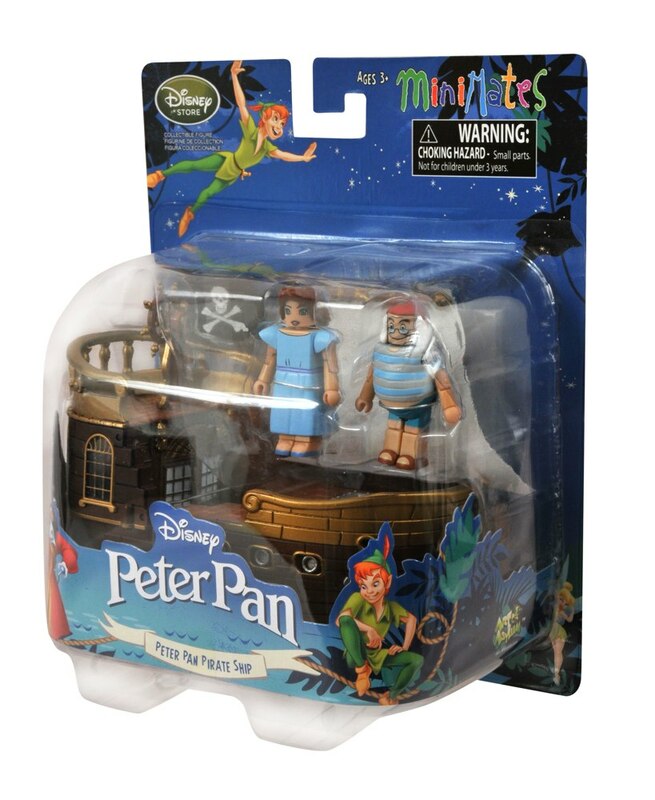 In addition to the two four-packs, Pan fans will be able to purchase the Jolly Roger, Captain Hook’s pirate ship! 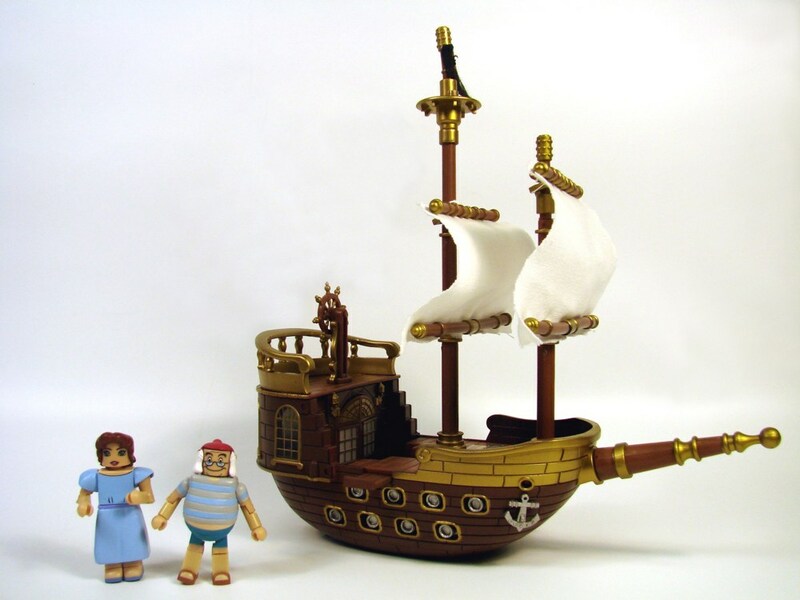 With opening doors and extending planks, the Jolly Roger has two removable and adjustable masts, and comes with two exclusive figures: Wendy and Smee! Each Minimate stands 2 inches tall with 14 points of articulation, for a full range of poseability. Look for all three sets to arrive at Disney Stores and on DisneyStore.com in early March, so you can play with your toys along with the movie! Holy crap! These are awesome!! That would be cool if they did. I really don't like the Kubricks. 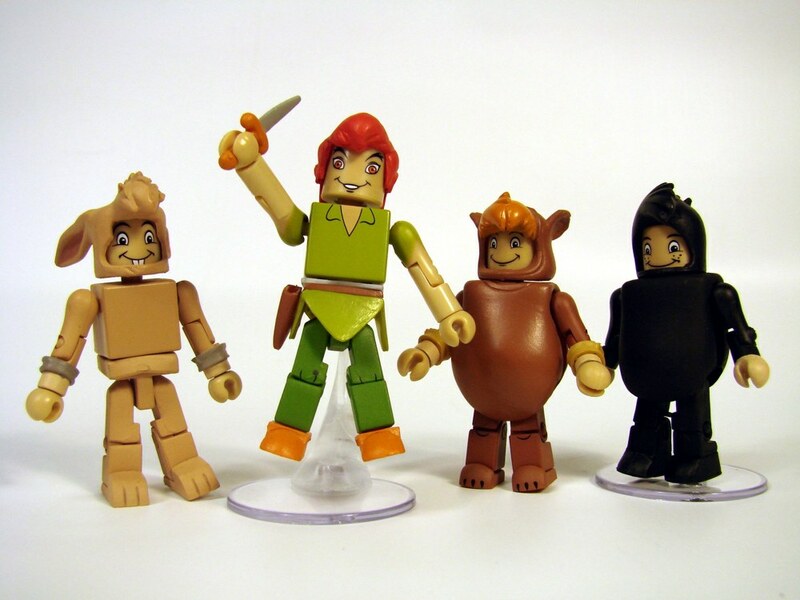 Minimates are so much better.